Second graders are in the midst of the Trades, Jumps and Stops math investigation. After reading "The Masloppy Family Goes to New York City," the boys work together to delve into several investigations that revolve around three excursions to New York City, with tasks that explore exchange, equivalence and equations. Through these activities, the boys are introduced to big ideas and strategies for algebra. Beautiful music filled the new Otto-Bernstein Performing Arts Theatre last week. 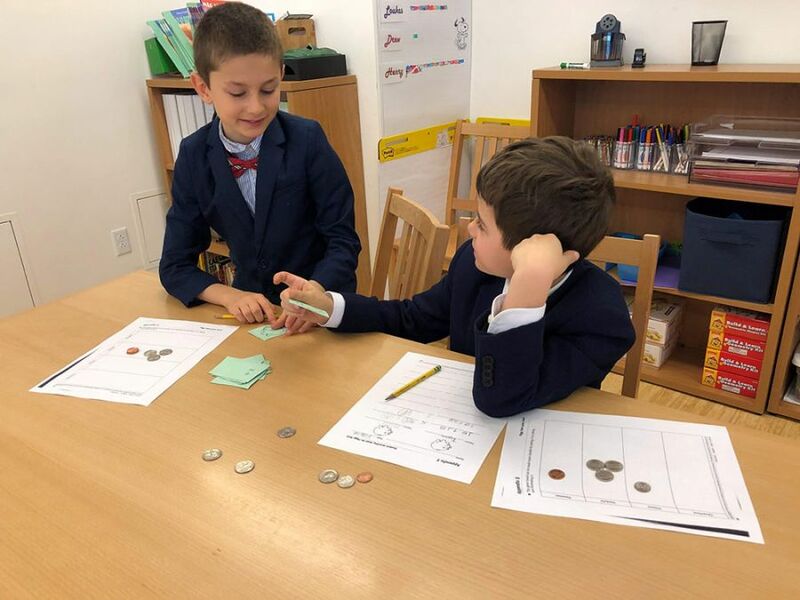 Fifth graders are in the midst of an in-depth study of DNA, conducted through the school's partnership with the Cold Spring Harbor DNA Learning Center.